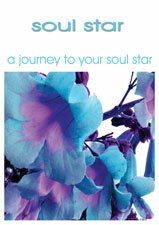 Soul Star is the second in the Journey series. Soul Star links your earth essence with your divine spirit. With these Mp3′s you locate your soul star energy and follow its life line.